Right before the end of our crowdfunding campaign, we have great news for you. On 25 April, we hosted an onboarding event for the first partner business using our software product. Since that day, Dachfit has been using our energieheld platform as an SaaS solution. Craftsmen may use this SaaS solution to manage both energieheld projects and their own clients. Depending on the company size, they are charged a monthly fee between €100 and €200. The release of the related Android app in June will complete the package and help craftsmen increase their efficiency outside the office. As many as 20 additional partner craftsmen have shown interest in our solution and will gradually be connected to the system. Simultaneously, energieheld will be able to use the larger (and anonymized) amount of data with the help of intelligent algorithms in the future, thus recognizing regional price levels, imbalance between supply and demand, and winning soft facts and helping its partners benefit from this knowledge. A nice side effect will be easily calculable revenues; VCs currently like models based on recurring monthly revenues (MRR models) very much. 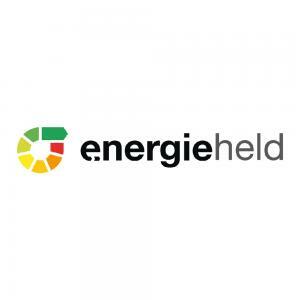 energieheld has been accepted by an EU grant program that will support the further development of the platform. In fact, we will receive a grant worth €94,200 that we will invest in our team of developers. This grant does not have to be repaid.